Every year, since 2011, the nerds from TheTF.Net forum (now a Facebook group, because running a forum proved too much like hard work) have met for a weekend of plastic robots and beer. The meet was agreed after a drunken night at Auto Assembly where we realised we needed to see each other more than just once a year. 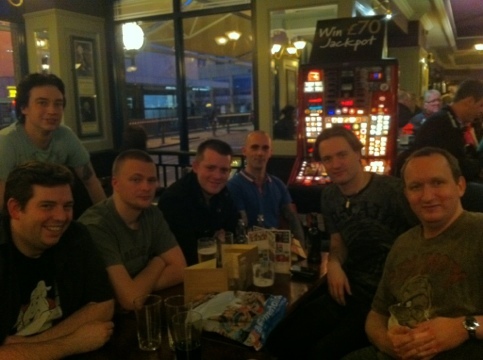 Despite Auto Assembly being held in Birmingham, we decided our first meet up should also be in Birmingham. Accounts from these early meets are sketchy, at best, as they all Blurr into each other (see what we did there?). Our first meet involved some belly dancing in a restaurant, while Daz and Jon Jerry-rigged a pool table in Subside to offer free play as they wanted beer not food. Horrifically-coloured Micromasters were purchased by all from Poundland. Much the same things happened this year – with the addition of a hunt for Karaoke, for some reason. Instead of Karaoke, a bar run by the Triads was stumbled across. Daz also believes this was the year he stole borrowed a Jack Daniels bar runner. 2013 was the last year in Birmingham. The city had lost its appeal – probably related to Daz being absent and in Las Vegas. A new plan needed to be formed… the forum meets had to roll out! For 2014 we finally moved away from Birmingham, mainly because Jon was bored with the place, and headed north to York. We were followed around York by a Channel 4 documentary TV company filming Daz for a TV episode called ‘The Complainers’, although we struggled to get out of the York Tap at the train station. We discovered that Daz hates cats almost as much as Colin loves trains. Colin dragged everyone to the National Railway Museum, and we had one of the biggest forum meet turnouts yet as everyone wanted to be on TV. The TV episode never aired. 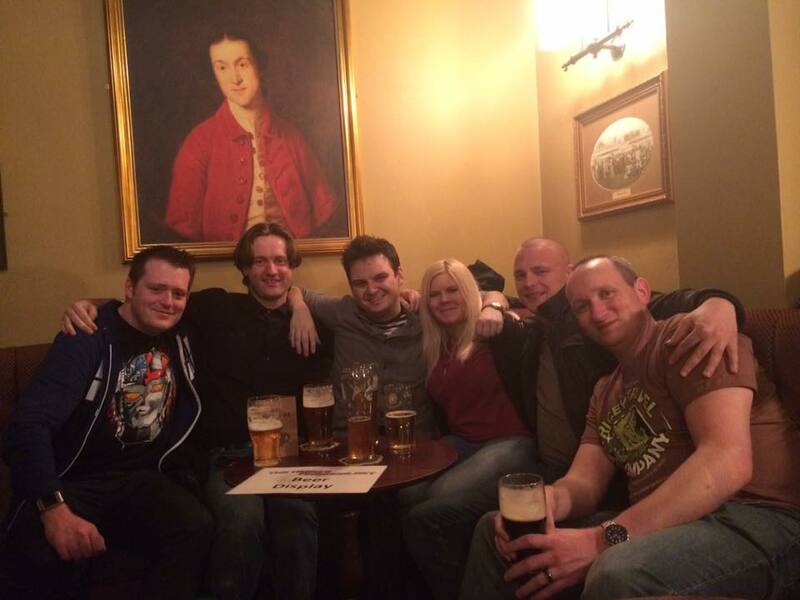 2015 saw a visit to London, and a chance for the Essex massive to attend as it was within the M25. We barely left the Wetherspoon’s, and managed to start a Facebook war with another forum meet taking place at the same time. Chester was one of the most popular meets of recent years, where we learned to never follow Jon’s advice on booking a hotel, and that Alex always stays in a palace regardless of how little he pays. 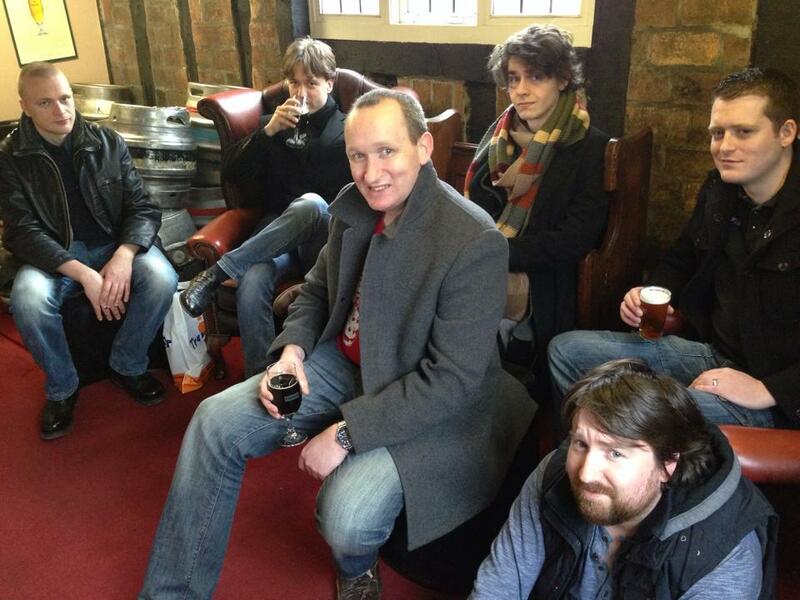 We were joined by Nick, from the Deva Brewery, who talked us through Oatimus Prime while we drank it. Brighton saw the first TheTF.Net hike, as we traipsed around the town looking for a curry house. Cheap pizza, fish and chips on the pier and an absence of Billy were the main takeaways from this weekend. This photo of Alex Classic is the best group shot we have from the weekend. Colin refrained from eating fish and chips on the pier as he believed it would be disappointing. For the first time in TheTF.Net Forum Meet history we tackled two towns in one weekend; mainly because nobody was convinced Bradford could entertain us for three days. We were wrong. Strong ale houses and a fire sale at the soon to be closed Toys R Us meant more merchandise was purchased at Bradford than at any other meet up. 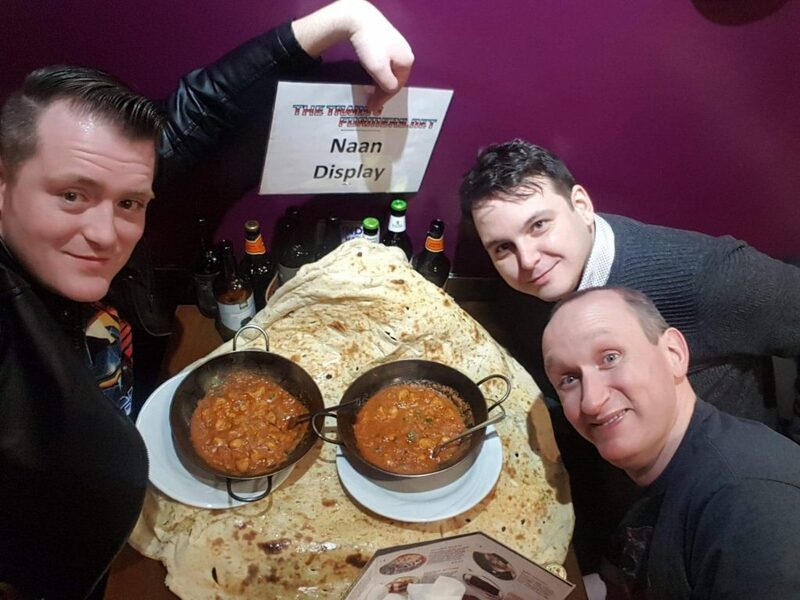 We also had the largest naan breads in the world. Omar was late on time. A quick hop to Leeds on the Saturday allowed us to pick up Spare Alex, as Alex Classic was unable to join us this year. 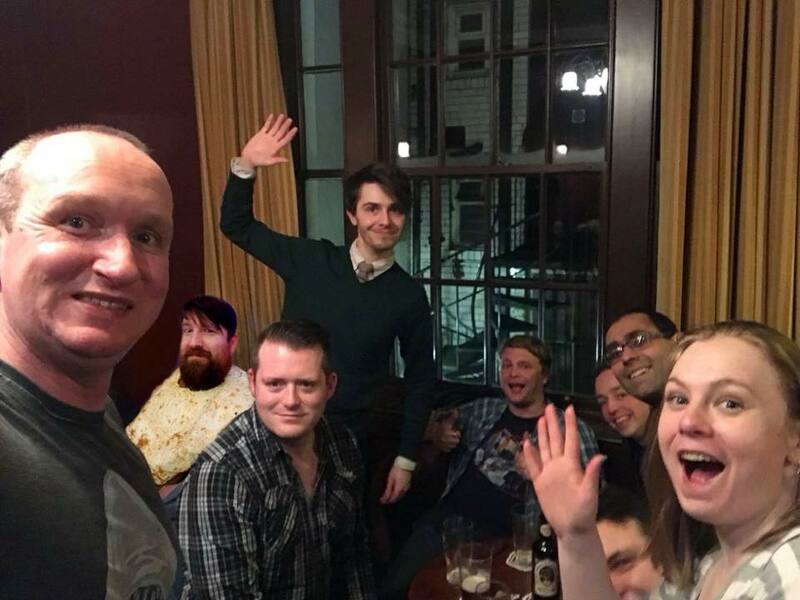 Fudge was forced to Photoshop himself in from the previous night, as he wasn’t allowed to stay out late two nights in a row. 2019 saw our first international meet, as we visited Cardiff on St David’s Day. We enjoyed our second forum hike, making a group of nerds and a five-year-old boy walk almost two miles for a disappointing array of toys. The Tiny Rebel bar provided some much needed good quality beer. Nerds who had not been before joined us, Colin had successfully engineered a realistic femmebot. This weekend saw our annual forum meet being held in the Welsh capital of Cardiff. 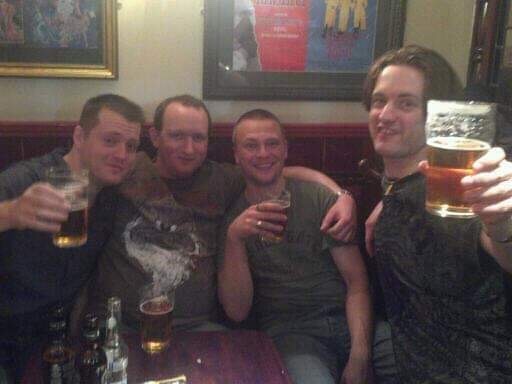 Each year we meet in a different town or city in the UK, alternating between the north and the south. We do this to make it easier for people to get to at least one meet every two years, and because we like to experience new things. I say new things, I mean new bars, new beers and new toy shops. Previous meets have been held in Birmingham, London, Brighton, Bradford, Leeds and Chester. This was our first ‘international’ meet of sorts. 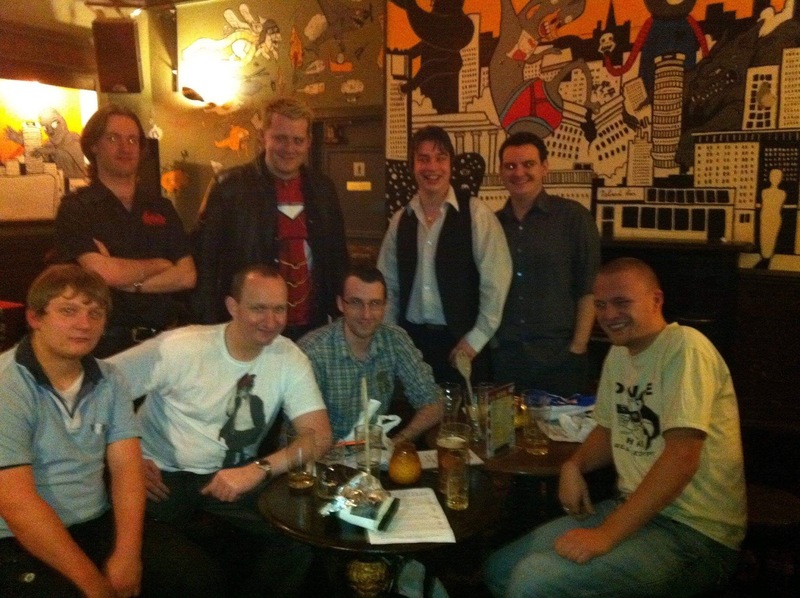 Anyhow, the meet kicked off in The Prince of Wales pub, by Cardiff train station. After a few pints, as is tradition, we took in a few toy shops while we awaited the arrival of more nerds. Coming from all over the country it’s impossible to all arrive at the same time, especially when one of the nerds (no names will be mentioned here, but he knows who he is) is late every single time and, this weekend, managed the unprecedented feat of being late TWICE. We visited shops such as The Galactic Attic, Magic and Mayhem, The Entertainer, The Lego Store, The Disney Store, Hamleys as well as the much maligned trip to The Pumping Station to see the various toy stalls in there. Note to other geek meets in Cardiff, it’s not really walking distance from the centre. Especially if one of your party is five-years-old. Additional note, if you do walk to The Pumping Station you may find you miss any boats that may or may not have been planned, angering those who wanted to ride on a boat. She knows who she is. 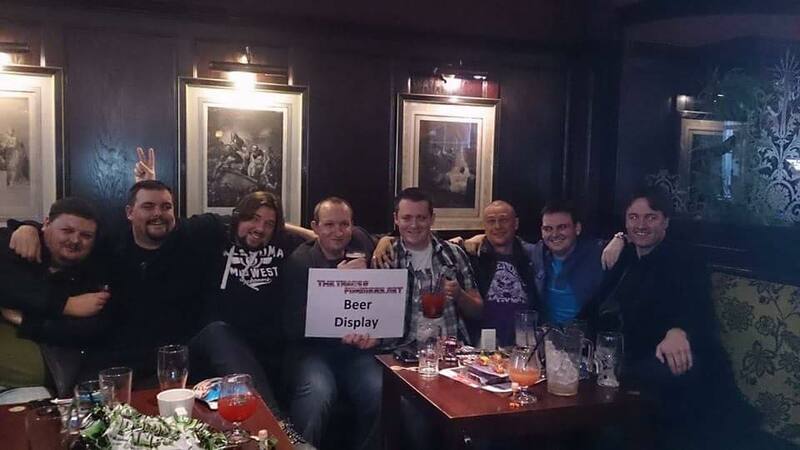 The pub visits were more successful, with impressive numbers of pints being consumed in the Waterguard and the Tiny Rebel bar, as well as many others besides. Our meet climaxed, as it always does, with a curry on the Saturday evening at The Purple Poppadom – again something of a walk from the centre, especially when the Welsh weather is being particularly Welsh. In all we managed to lure 14 nerds to the meet up, which is pretty impressive seeing as we have a core nerd base that won’t travel north of Watford. There are more nerds in our ‘collection’, and we’re hoping for an even bigger turn out next year. 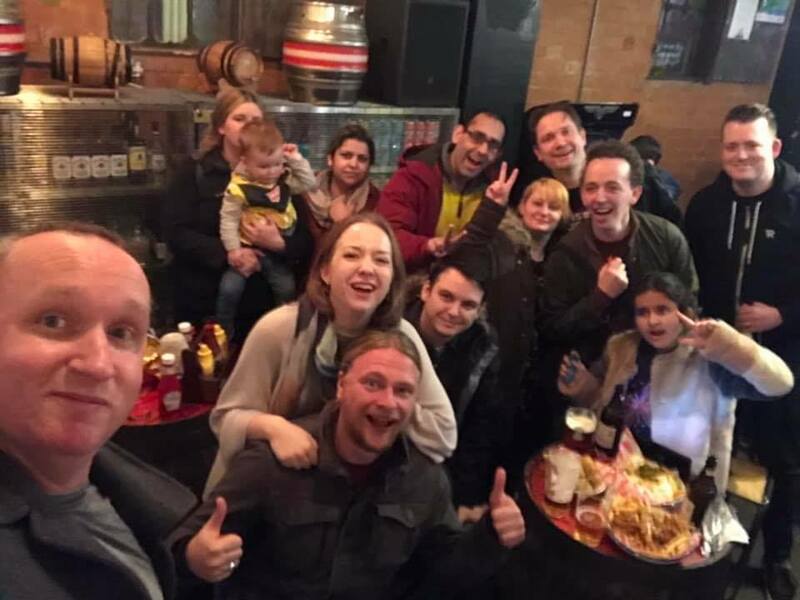 Plans for our next meet up, probably February/March 2020, have already begun, with destinations suggested of Edinburgh, Dublin and Blackpool. I do hope these places are ready. Almost 18 years ago (crikey, has it been that long?) we wrote a review of our visit to Transforce in August 2001. It was a seriously hot day, but a great UK convention. We’ve recently uncovered some video footage from that convention, which features dealers’ tables, lots of toys and interviews with the guests. If you were there all those years ago, you may spot yourself in this video. 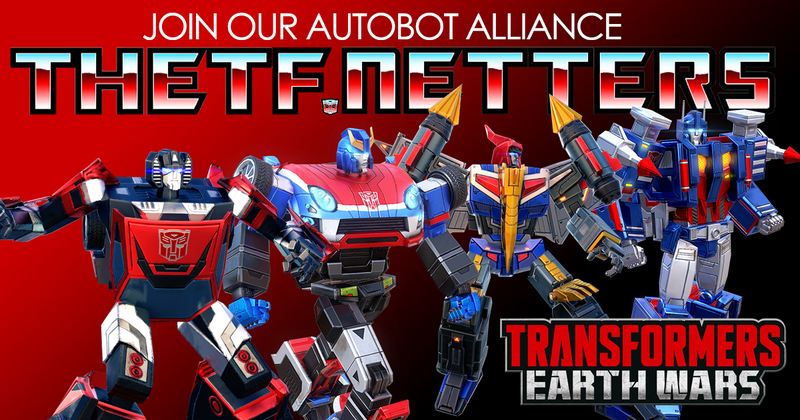 If you play the mobile game Transformers Earth Wars, and you’re looking for a good Autobot Alliance to join, then seek us out in the game. We’re called The TF Netters and we’re a super friendly bunch with players of all levels. We’ve some level 15 HQs and some newcomers to the game, and all we ask is that you try your best and take part in the wars and events. It’s been six months since we last bothered updating this site. Not because we’ve lost our love for Transformers, but because we really can’t be bothered to post. We have other things on, such as socialising and drinking. 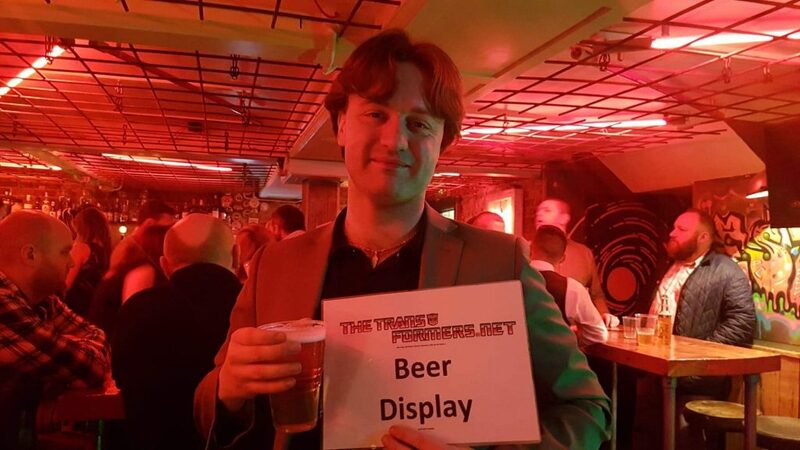 That being said, we’re up to some socialising in February for any Transformers fans who’d like to come along, meet with a group of nerds and drink – while talking about Transformers. Our ‘Northern Meet’ takes place in York (lots of pubs) on February 22nd and 23rd and everyone is welcome. We’ll be meeting in the York Tap at 12:00 noon on the Saturday, where we’ll be having a few before moving on around the city. Leave a comment if you’d like to come along, or just turn up – you’ll easily spot us: big group of nerds drinking and playing with toys. 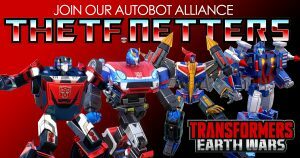 We just received this press release from Activision for the new Transformers video game, Transformers Fall of Cybertron. Santa Monica, CA – June 14, 2012 – High Moon Studios is creating the most authentic TRANSFORMERS game ever with the announcement that fan-favorites Peter Cullen and Gregg Berger, the legendary voices of OPTIMUS PRIME and GRIMLOCK from the original TRANSFORMERS animated TV series, will reprise their roles for the upcoming TRANSFORMERS: FALL OF CYBERTRON video game. Set to launch on August 28, 2012 from Activision Publishing, Inc., a wholly owned subsidiary of Activision Blizzard, Inc. (Nasdaq: ATVI), TRANSFORMERS: FALL OF CYBERTRON will allow gamers to experience the final, darkest hours of the war between the AUTOBOTS and DECEPTICONS as they vie for control of their dying home planet. 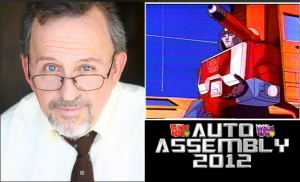 TRANSFORMERS: FALL OF CYBERTRON will also feature the talents of voice-over veterans Nolan North (BRUTICUS, CLIFFJUMPER and BRAWL), Troy Baker (JAZZ, JETFIRE and KICKBACK), Fred Tatasciore (MEGATRON, RATCHET and METROPLEX), Steve Blum (SHOCKWAVE, SWINDLE and SHARPSHOT), Isaac Singleton (SOUNDWAVE) and more. TRANSFORMERS: FALL OF CYBERTRON challenges fans to fight through both sides of the TRANSFORMERS’ most epic battles that culminate in their legendary exodus from their home planet. With the stakes higher and scale bigger than ever, players will embark on an action-packed journey through massive, war-torn environments designed around each character’s unique abilities and alternate forms, including GRIMLOCK’s nearly indestructible T-Rex form and the legendary COMBATICONS combining into the colossal BRUTICUS. Taking the franchise’s competitive multiplayer to all-new heights, the game will allow fans go head-to-head in blistering AUTOBOT vs. DECEPTICON matches after creating their own unique characters with the most in-depth, advanced customization ever before seen in a TRANSFORMERS video game. TRANSFORMERS: FALL OF CYBERTRON is being developed by the acclaimed team at High Moon Studios for the Xbox 360® video game and entertainment system from Microsoft, PlayStation®3 computer entertainment system and Windows® PC, and is rated “T” (Teen) by the ESRB. For more information and exclusive updates, fans can visit www.facebook.com/TransformersGame or www.TransformersGame.com, and follow the team via Twitter @HighMoonStudios. Come see how we inspire play through our brands at http://www.hasbro.com. © 2012 Hasbro, Inc. All Rights Reserved. It’s hard to believe that we are now just eight weeks away from Auto Assembly 2012, Europe’s Largest Transformers Convention. It feels as if Auto Assembly 2011 has barely been behind us, but with the convention nearly upon us we wanted to give everyone a reminder that the convention is fast approaching and that tickets are selling faster than ever this year and that we are on target for a total sell out! With seventeen guests, our biggest ever line-up of dealers, a massive new four-star venue, great free gifts for attendees including a magazine, lithograph and comic, what more could you ask for? Registration for the full weekend (which includes access to EVERY part of the convention including all our workshops, panels and free autographs with no additional charges) is just £45 for adults and hotel accommodation is just £50 a night for a single room or £60 for a twin or double making the convention affordable for everyone! 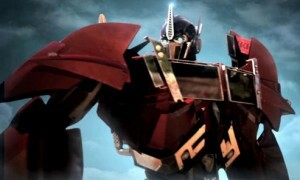 The teaser trailer for Transformers Prime on the Nintendo Wii has finally been released. The game, also available on the Nintendo 3DS and DS, is developed by Now Production (NowPro) on the Wii and the 3DS, and by Altron Corporation on the DS. If you’d like to know more about the Transformers Prime video game, you can visit the official website at www.TransformersPrimeTheGame.com. We’ve just received this press release from Activision about a new video game for Transformers Prime. Santa Monica, CA – March 15, 2012- Activision Publishing, Inc., a wholly owned subsidiary of Activision Blizzard, Inc. (Nasdaq:ATVI), is bringing the ultimate TRANSFORMERS video game experience to kids of all ages with the TRANSFORMERS PRIME video game. Based on the hit animated television show produced by Hasbro Studios and currently airing on The Hub television network in the U.S., the game lets fans play as their favorite AUTOBOT characters and embark on an action-packed adventure to save the earth from the evil MEGATRON and his new secret weapon. Players step into the roles of OPTIMUS PRIME, BUMBLEBEE, ARCEE, AUTOBOT RATCHET, BULKHEAD and more as they explore unique vistas all around the world with brawler-style combat and diverse driving sequences. Along the way, gamers cultivate friendships with Jack, Miko and Raf – the human characters from the show – as Team Prime sets out to protect mankind and eliminate the DECEPTICONS once and for all.